Here’s To The Next Set Of Adventures! June was a pretty big month for me – I quit my job and sponsorship visa in Australia, packed up my life once again and hit the road. But I also turned 30 too…yup 30. I’m now officially pretty damn old – although I think the sunshine, salt water and adventures have helped me stop looking my actual age!haha! So to help me stop feeling so depressed about now definitely being classed as an adult I thought I’d take a look back on all the amazing travel adventures I’ve had in my lifetime so far. And don’t worry – there are still plenty more to come! My first fully solo trip was to Ecuador to shoot a piece on eco surfing for my final year university project. It was last minute and incredibly spontaneous. In fact I didn’t really know where Ecuador was until I got on the plane! Whilst living in Montanita, Ecuador I decided to splash the cash and head to the Galapagos Islands. 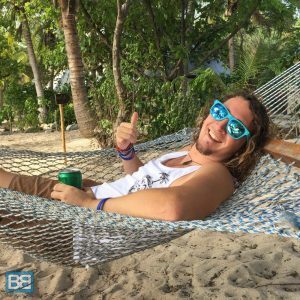 It was the beginning of my adventures so I had no idea that my blog would turn into an income source so it was a big chunk of cash to lay down. It was totally worth it though and sailing around these stunning islands is something I want to go back and do again! 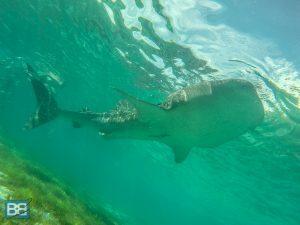 From snorkelling alongside swimming iguanas to sea lions, sharks and schools of eagle rays – it was nothing short of magical! To this day the hiking the Inca Trail is one of the toughest but most rewarding adventures I’ve had on the road. The views across the valleys along the route are just as spectacular as the ruins themselves. If you ever get the chance to do it – it’s worth every moment of pain, sweat and tears! Learning To Scuba Dive Was An Epic Decision! When I first landed in Australia back in 2009 one of the first things I did was complete my open water dive course on the Great Barrier Reef. In fact I had such a blast I extended it to complete my advanced open water course too! 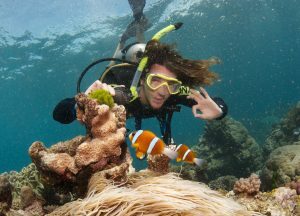 Since then scuba diving has become a huge focus of my travels and another excuse to spend heaps of time in the big blue! A HUGE Bucket List Tick – Literally! 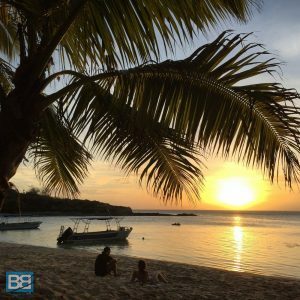 Scuba diving in Koh Tao is a big bucket list item for many travellers and I’ve dived there quite a bit over the years. No dive quite compares to one trip to Chumphon Pinnacle when 3 minutes into the dive a huge shadow loomed out of the blue and we were joined by a whale shark for a large chunk of the dive. It wasn’t even whale shark season so everyone was caught off guard and it’s something I’ll never forget. Along with whale sharks manta rays were another big bucket list item I’ve wanted to tick off since I became obsessed with marine biology as a kid. I’ve since swum with them in Indonesia and Fiji but my first encounter with this alien looking creatures was in Ningaloo, Western Australia. 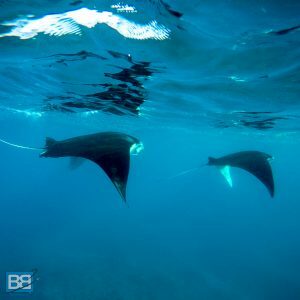 I was so stoked when I jumped off the boat and was instantly greeted by 3 barrel rolling mantas. If you ever get a chance to swim with these gentle giants make sure you do it! Surfing is my happy place and I try not to stray too far from the waves on my travels so Indonesia was pretty high on my list of places to visit when I got started on my adventures. And when I headed there for the first time I splashed out and treated myself to a Bali Surf Charter on board Dreamweaver. 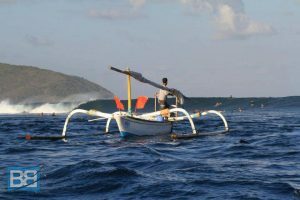 It was an epic week of waves around Bali, Lombok and Sumbawa – and something I want to do again now my surf skills have certainly improved! Trying to explain to my parents what I was doing as a job when I started blogging was somewhat challenging! So when they came to visit me in New Zealand I was stoked to show them around and we had some epic adventures campervanning around the South Island. When they left I remember them saying to me that they now understood why I was doing what I was doing and to keep doing it for as long as I could. It was the ultimate seal of approval. 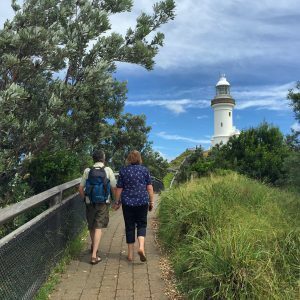 We caught up on the road again earlier this year when then came over to Australia again to visit me and the little bro in Byron Bay – which was heaps of fun! And along with my parents travelling with my little bro was something I really wanted to do to. We kicked things off In Indonesia surfing with some of our travel buddies before overlanding from Singapore all the way up to Bangkok, which was heaps of fun. Since then we’ve chilled in Raglan, New Zealand and lived together in Byron Bay, Australia too. When you think of an island paradise with palm trees and clear waters Fiji is probably one of the places that springs to mind – and it really is! 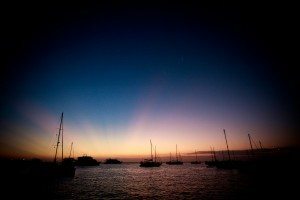 I spent a week island hopping through the Yasawa Islands and it was packed full of snorkelling, beach time and island vibes. I cant wait to head back there again soon. I know what you’re thinking – sharks?! Yup I absolutely love them. They’re not the scary man eaters you probably envision and I urge everyone to meet them face to face in their own environment. 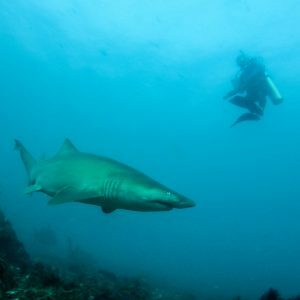 I take every opportunity I can to chill with these incredible creatures – from cage diving with Great White Sharks to snorkelling with white tip reef sharks in Fiji, 7 gill cow sharks in South Africa or Grey Nurse Sharks in Byron Bay – they’re absolutely beautiful. Despite my fear of heights I’ve now clocked up 4 skydives – 2 in Mission Beach, 1 in Byron Bay with my brother and I even convinced my dad to skydive in Queenstown with me! Nothing beats the rush of jumping out of a perfectly good plane and free falling towards the earth! 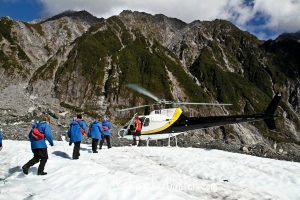 A few of my adventures on the the South Island of New Zealand have made this list and Heli Hiking on Franz Josef Glacier is definitely something I recommend everyone do if they’re heading to NZ – it’s two bucket list ticks in one! Squeezing through ice caves and wandering around this frozen wonderland will pack your camera full of epic photos! I’ll never forget watching my mum crawl through the ice tunnels though – something I never thought I’d witness her doing! Campervanning is always heaps of fun! Although the East Coast of Australia is the most popular slice of Australia to explore I was massively stoked on my campervan adventure up the West Coast from Perth to Darwin. 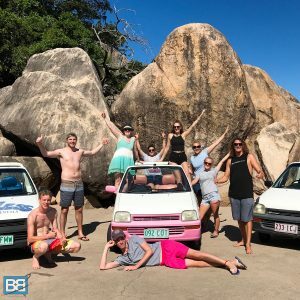 I joined a random crew of people I met on a travel community board – which then also included the guy I met on the plane to Australia and a random backpacker we met in a hostel! It was an amazing month full of road tripping fun – from the eerie Pinnancles to the amazing snorkelling of Shark Bay and Coral Bay as well as heaps of outback fun through endless red dirt roads. 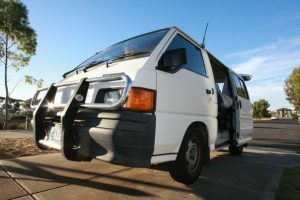 This had always been my dream for Australia and realising I hadn’t flown to the other side of the world to live in a flat in Sydney I bought a van, chucked a bed in the back and built a make shift kitchen and proceeded to live in it for most of my time on Australias East Coast. Nothing beats the freedom of going where you want, when you want and waking up to some incredible ocean views. I have no idea why it took me so long to visit the Philippines considering the amount of time I’ve spent in South East Asia – but better late than never hey? It’s a country full of friendly locals, over 7,000 island and a range of adventures to match. I also discovered one of my favourite places in the world – Siargao Island. With pumping surf, island vibes and palm tree lined shores it’s somewhere I can never get enough of. I honestly thought the Maldives were going to have to be bookmarked for a honeymoon or special event – I really didn’t think I’d be heading there anytime soon! So I was stoked when my Maldivian buddy invited me to come stay with her – a perfect excuse to splash out! 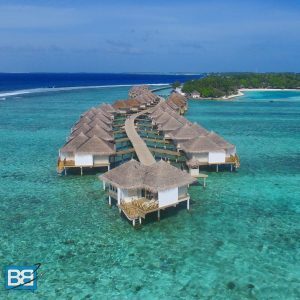 I actually sampled the best of both worlds whilst there – with the first week on a local island followed by a splash on my 29th birthday staying in an overwater bungalow at Cinnamon Dhonveli, which also has a private surf break! I learn two things from this trip – that the Maldives isn’t actually as expensive as you might think (budget post coming soon!) and that if I’m going to pay for a pricey hotel again it better have it’s own surf break, because that was AMAZING! America To My Right, Europe To My Left! Okay, one more scuba diving adventure for the list! 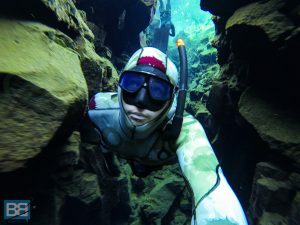 I’m more used to tropical water when it comes to diving but when I headed to Iceland there was one cold water dive I just had to do – scuba diving Silfra. Here you get the unique opportunity to scuba dive between the continental plates – so I was under the water and sandwiched between them – Europe to one side and America to the other! The water is glacial fed so the visibility is insane and despite the chilly temperatures it’s one of the most memorable dives I’ve done. 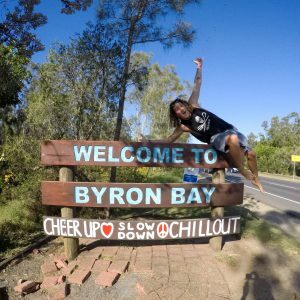 Since I first headed there in 2010 if you’d asked me where in the world I wanted to live or settle down I would say Byron Bay in Australia. I’ve bounced there on and off a few times over the years but last year I heard back there to live. Sure the whole work thing didn’t quite go as planned and I’ve once again bounced out of Oz, but the allure of hippie vibes, incredible beaches and amazing surf is something that I couldn’t resist and although ultimately it didn’t end up being what I needed long term I’m glad I had the opportunity to give it a go. The culture of New Zealand is something that I was excited to learn more about and the pinnacle of that was witnessing a Haka in real life – it’s something you have to see up close to real appreciate. I got the opportunity to tick this off whilst exploring New Zealand with Kiwi Experience and the overnight stay at Tamaki Maori Village is certainly something I’d recommend if you want to learn more about Maori culture. Whilst I was in South Africa I couldn’t help but sample the vast array of pumping surf the coastline has to offer and I joined Ticket To Ride for an amazing South Africa Surf Adventure. We road tripped from Cape Town to the world famous J’Bay surfing at numerous spots in between and it was pretty freaking epic. Their South Africa surf trips are as much about the adventure and country as they are about the waves – including some amazing volunteer projects, chilling with penguins on the beach and even bungy jumping…if only I’d had time to do the full 13 week South Africa and Mozambique surf adventure! One of the best things I’ve done in my life was to turn my passion for surfing into a way that allowed me to work and travel pretty easily. 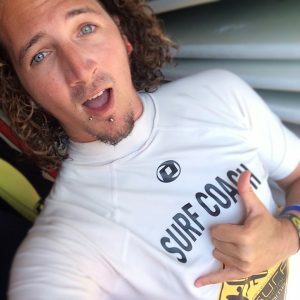 When I completed my surf instructor training I wasn’t quite sure where it would lead – but since becoming qualified I’ve worked all over the world passing on the stoke, including Ecuador, Morocco, England, Portugal and New Zealand. Even now it’s a great way for me to sit tight in one location and regroup as well as boosting my travel funds too! 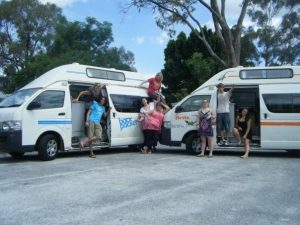 I’ve had a few people tell me over the years that I should run my own tours, so whilst I was based in Australia I decided to give it a go and I ran a 21 day Sydney to Cairns East Coast tour. Even though it was a huge learning curve I had an amazing time and I couldn’t have asked for a better group of backpackers to join me! We sailed the Whitsundays, cruised around Fraser Island, learnt to surf and snorkelled the Great Barrier Reef amongst heaps of other adventures. When I first started blogging the whole thing was a pretty new concept. Skip forward a few years and there are literally thousands of travel bloggers and websites in every corner of the internet and covering every type of travel imaginable. 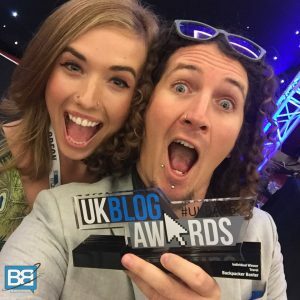 So when I ended up winning the travel category of the UK Blog Awards last year I was pretty freaking stoked! The award now sits on my Grandmas mantle piece to remind her that I do in fact have a real job! 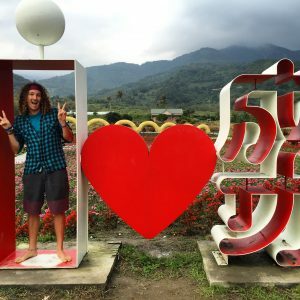 Getting Out Of MY Comfort Zone In Taiwan! Despite running a travel blog I’m the first to admit I can become a creature of habit quite quickly and I do enjoy revisiting countries a few times. So when Erin convinced me to head to Taiwan I was a bit…ummm…apprehensive. I’d never really considered hitting it up but I’m glad that I did. Sure I softened the blow by heading out on a surf tour to start with but the time we spent there afterwards was pretty awesome too. Eating heaps of dumplings, exploring chaotic markets and battling with a pretty big language barrier reminded me that I need to be less stubborn when discovering new places! Over the course of my adventures I’ve picked up a few travel tattoos. But the ones I’m most stoked on are my bamboo tattoos from Thailand. I got a traditional Sak Yant tattoo on Phi Phi after working there as a diver and my compass (yes I’m super traveller cliche here!) in Khao Lak. Not only do they hurt less than traditional tattoos but they also heal super fast – ideal if you love being in the ocean like me! Out of all the things on this list I think that this is probably my favourite – certainly when it comes to day trips anyway! 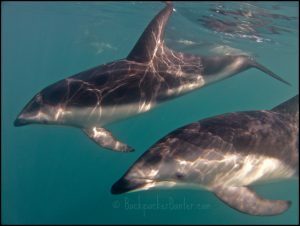 At the last minute I upgraded my snorkelling with dolphins tour in Kaikoura, New Zealand to the swimming option and I’m super stoked I did! We jumped into the water along with a super pod of dolphins – literally hundreds of them swimming around me in every direction. It was something I’ll never forget. Even when I was dried off and back on the boat it was incredible – with dolphin riding the bow wave and doing flips all around the bay! 100% wild, 100% free – just how they should be. Despite being a beach bum by nature sometimes the mountains can be pretty fun too and the opportunity to snowboard in the Swiss Alps was certainly a world away from what I’m used to. Snow capped peaks, mid run beers stops and xmas day on the slopes have convinced me that maybe I should explore some colder climates some more! 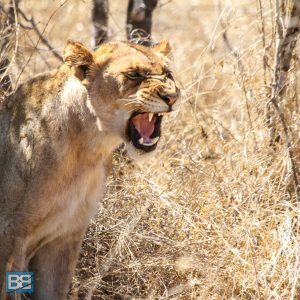 I honestly didn’t think I was going to head to South Africa for a while and that I wouldn’t be able to budget a safari into my plans for a while – but I was actually pleasantly surprised when I headed that way that actually, safaris aren’t as pricey as you might imagine! My tour through Kruger Safari Park was everything I had hoped it would be and I spent a few days photographing some amazing animals. 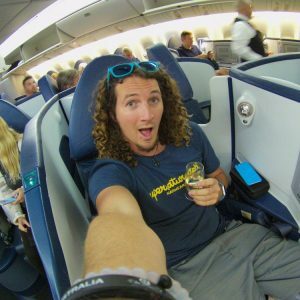 Despite flying all over the globe it took me AGES to finally get the holy grail of travel – a free upgrade to business class. But it was certainly worth the wait and I totally lucked out on the flight I didn’t manage it on – a 14 hour leg from LA to Sydney! Champagne on take off, lie flat bed and even heaps of ice cream, it has totally ruined my flying experience now!haha! What are your favourite travel adventures? Any I should pencil in for my 40 before 40 list! ?